The morning light finds the Sázava river as it passes through Český Šternberk. The Posázaví region, located in Central Bohemia less than and hour south east of Prague, contains a number of attractions of various categories for visitors to take in. Several of those attractions, Konopiště chateau being just one example, are typical recommendations for day trips from the capital city. While day trips from Prague may satisfy some, Posázaví offers much more and is quite worth a visit to see it specifically. The Sázava river, which gives the area its name, flows through the region on its way to join the larger Vltava river just south of Prague. Large sections of the Sázava are navigable for canoeing, which is a very popular activity. In addition to canoeing, Posázaví offers many opportunities to cyclists, trekkers and hikers. While, with its rolling hills and wooded areas, the region has primary appeal for outdoors enthusiasts; Posázaví also has a good deal on offer to visitors with different itineraries. Konopiště chateau, on the outskirts of Benešov. 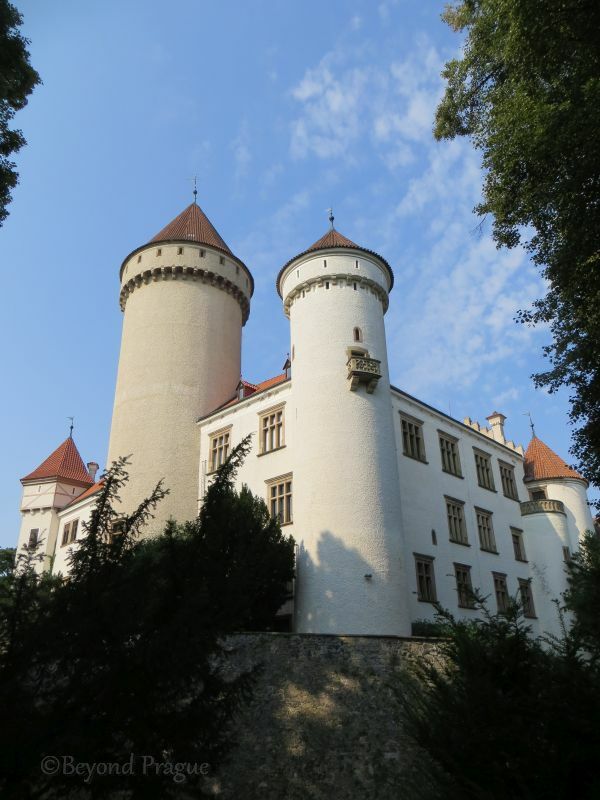 The Czech Republic has no shortage of castles, chateaus and other historical buildings; within the Posázaví region, you can find nearly 30 castles, chateaus, fortresses and ruins to visit. Some chateaus are famous for particularly large landscaped gardens which you can spend a significant amount of time enjoying and exploring; Konopiště and Vlašim chateaus are two notable examples of this. Worthy of note among the region’s historical sites are Jemniště chateau and Český Šternberk castle. 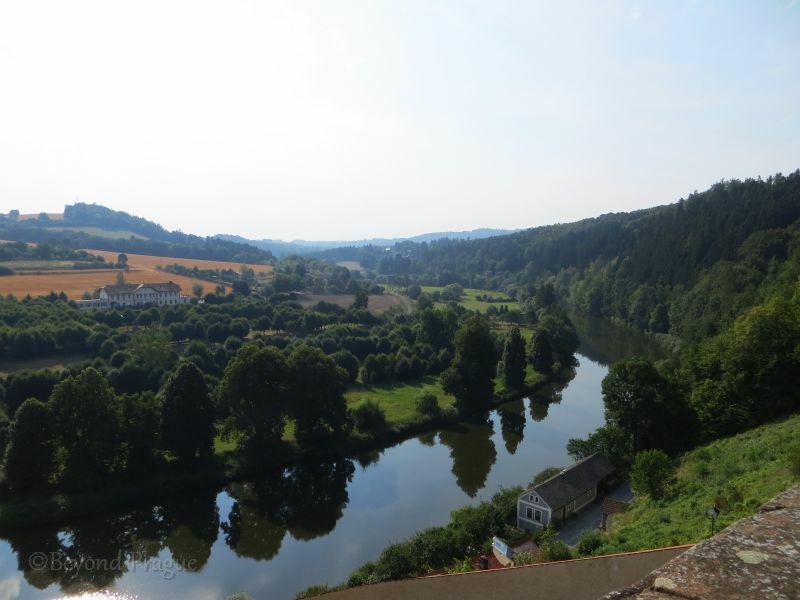 Unlike many chateaus and castles in the country which belong to the state; these two sites still belong to their original owners, the Šternberk family. Being in original ownership gives both places a rather different feel than many state owned ones do. The former Benedictine monastery in Sázava. If your passion is history, there’s plenty of it in Posázaví. From prehistoric settlements through the middle ages to the 20th century, there are several museums and monuments through the region. 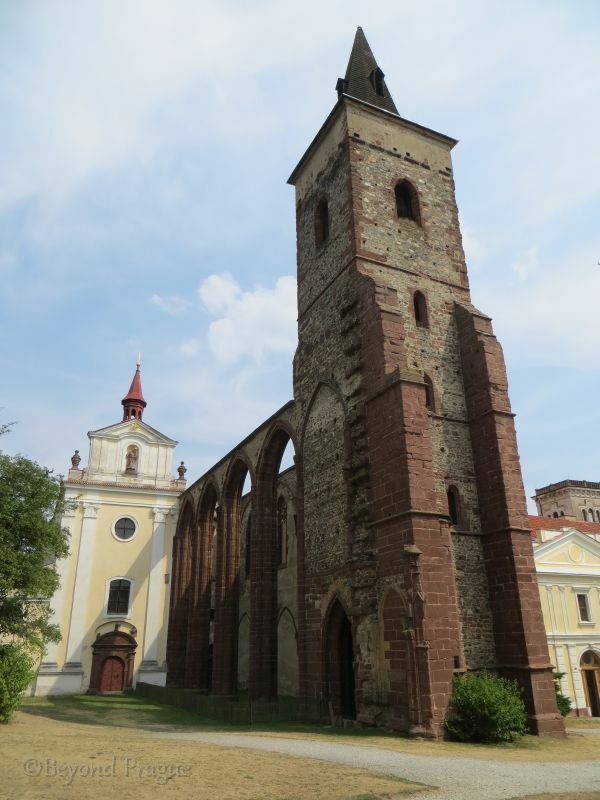 One example of such monuments is the former monastery in the town of Sázava. Once belonging to the Benedictine order, the monastery dates to the 11th century and contains a wealth of artifacts and documents as evidence of its historical importance as a centre of Slavic cultural education in the region. With all the options open to a visitor who chooses to get to know Posázaví on a deeper level than a day trip from the capital could ever provide, it’s crucial to find good accomodation to keep your things and good restaurants to keep you fed and your energy up for the next activity. Happily, there are several forms of accomodation in various localities in the region ranging from rental apartments for the self-catering sorts all the way up to four star hotels. Similarly, there are many well reputed restaurants to choose from offering a variety of standard fare and local specialities. 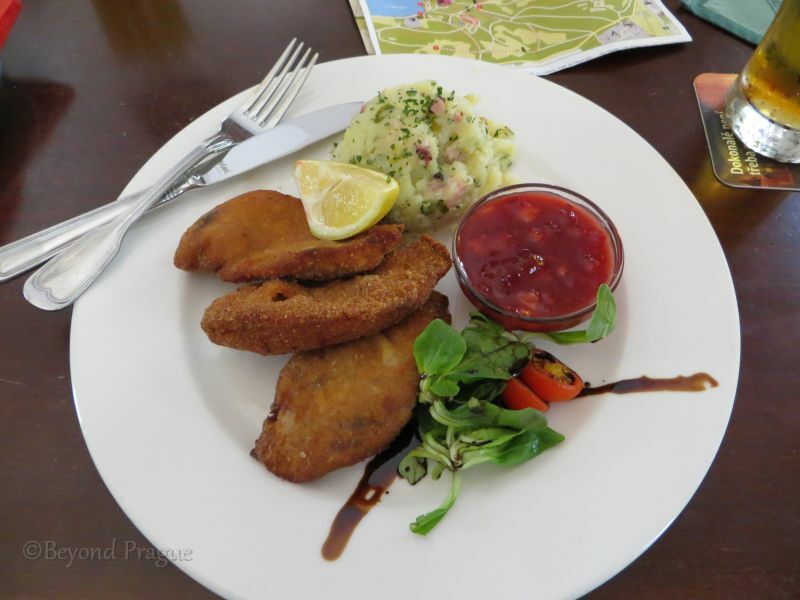 A delightful plate of breaded pheasant at the Stará Myslivna restaurant in the Konopiště chateau gardens. From a standpoint of practicality, especially if you are not travelling by car, the small city of Benešov is worth looking at as a possible place to base yourself for day trips to other locations in the region. With the exception of the Konopiště chateau and gardens on its outskirts, Benešov is not at all touristy. However, it has direct and efficient rail connection to Prague as well as several good rail and bus connections to other localities in Posázaví.